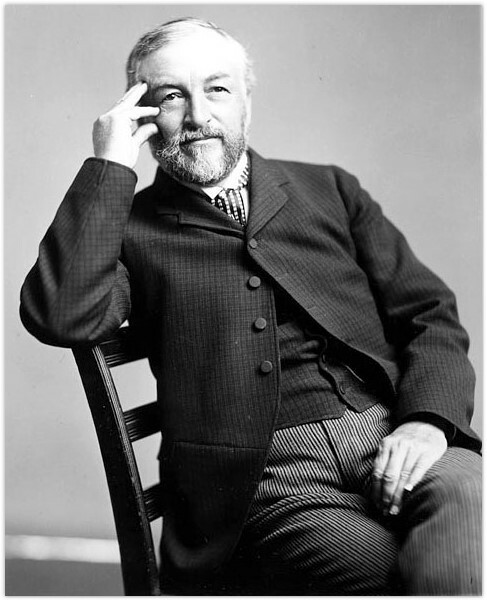 Samuel Pierpont Langley (1834-1906) was an American astronomer, physicist, and inventor. He is best known as the inventor of the bolometer and as an aviation pioneer. Prior to joining the University of Pittsburgh, he was an assistant in the Harvard College Observatory, and a chair of mathematics at the United States Naval Academy. In 1867, he became the director of the Allegheny Observatory and a professor of astronomy at the University of Pittsburgh. His Allegheny Time Standard, established by observing stellar meridian crossings from Allegheny Observatory and distributed via telegraph around the Eastern United States, because the basis for the modern U.S. time zones. In 1886, Langley received the Henry Draper Medal from the National Academy of Sciences for his contributions to solar physics, including the invention of the bolometer, which is still used today to measure radiation intensities. His publication in 1890 of infrared observations at the Allegheny Observatory in Pittsburgh together with Frank Washington Very was used by Svante Arrhenius to make the first calculations on the greenhouse effect. Langley was also the founder of the Smithsonian Astrophysical Observatory. Langley's Aerodrome Number 6, the second self-powered heavier-than-air flying machine, which flew a distance of more than 5000 feet over the Potomac River in November 1896, is displayed in the University of Pittsburgh's Posvar Hall (look up above the escalators).